Can one make too many Squared Away Cutie Quilts? My answer is a resounding NO! I had a fat quarter pack of Moda Elementary fabric, bought some Grunge fabric, and had a blast making this quilt. I quilted it with ribbon candy, naturally. The loft of the wool batting shows the difference between the quilted (cream) and unquilted (colored) sections of the quilt and makes it look much more complicated that it really is! I machine bound it with strips from leftover fat quarters. Quick, fun, and already given away to a friend. When I designed the FabuLux line of thread for WonderFil, I included a collection of pastel variegated threads. I planned to use these for baby quilts, but I use them as neutral threads on many different types of quilts. Is it wrong for the designer to admit that she was surprised (pleasantly) by the outcome? Isn't that pretty? I've used this on modern quilts, southwestern quilts, baby quilts, and more. I don't use this thread in the bobbin. I prefer to use DecoBob in the bobbin for nearly all of my sewing/quilting projects. 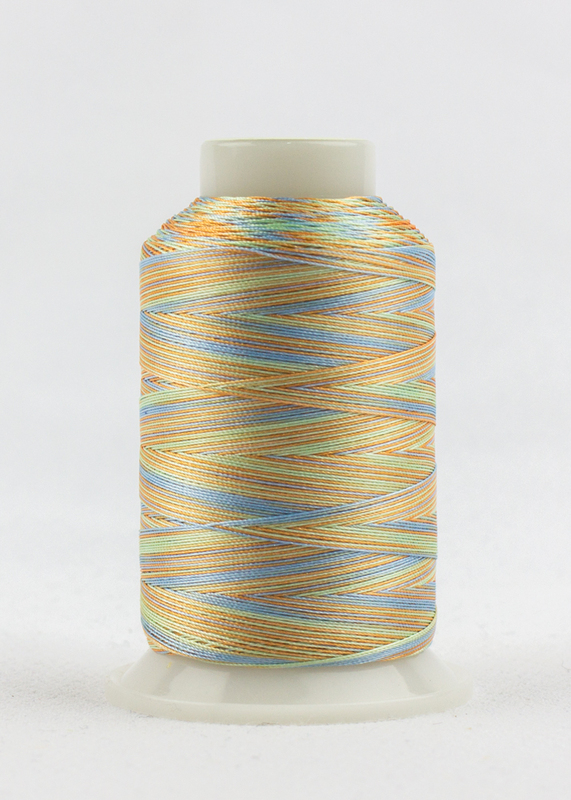 It's thin, the bobbin lasts a loooong time, it blends beautifully with the backing, and it makes tension a dream. Rocking Horse is sold on 3000 yard cones as well as 700m spools so you'll have the right amount for any project (or projects!). Do you have a surprising secret weapon thread color? I have a few and can't wait to share more with you. I have a new obsession: the walking foot on my HQ Stitch 710 machine. My quilting journey started with hand quilting, then longarm quilting, then free-motion quilting on a home machine, and now I've hit my final frontier -- the walking foot. It was even my focus of the Machine Quilting Club at the Quilt Basket last week. The students enjoyed their walking feet as much as I do and look forward to more Walking Foot instruction at the next meeting! Do you enjoy machine quilting with your walking foot? Follow along with my fun journey. I was away from my sewing room for about six weeks and they were a difficult six weeks to be away. I had some medical treatments that made me feel icky and quilting makes me feel better. Sadly, I felt too icky to quilt. International events made me want to turn off the news for a while and go sew something, but I was thousands of miles away from my sewing machine. The steady stream of natural disasters kept me riveted as I prayed for those affected and waited to hear news from loved ones. Sadly, natural disasters are coming fast and furious these days. Finally, the ever-present political strife in the US has me calling for a time out. The pattern is free on my website. Click HERE. After I finished piecing the front of the postcard, I pulled together a 5"x6" piece of stabilizer and a 5"x6" piece of white fabric. 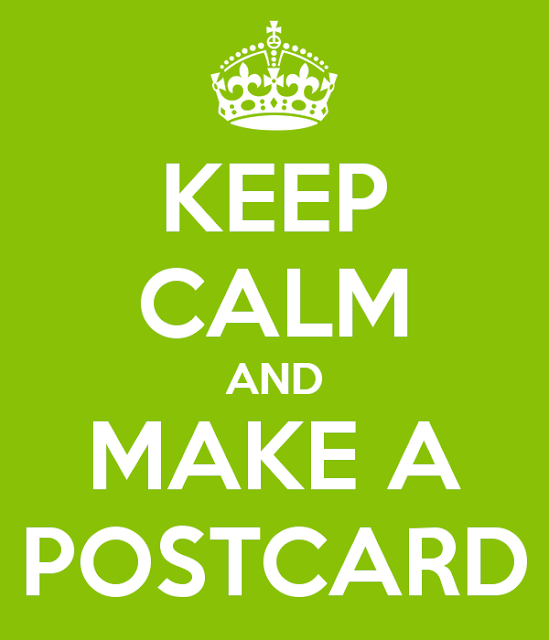 I fused all three layers together, centering the top of the postcard on the 5"x6" backing/stabilizer. To whom shall I mail this little bit of love? Yesterday I discovered a health hazard in a place I thought to be safe. Not only safe, but healthy! I was nearly killed by fruit and chocolate. Yes, you heard me correctly. Late yesterday afternoon, I was still in my PJs (don't judge me) and taking the laundry down from the back deck. I wasn't wearing my hearing aids and was in my own little world, enjoying my fresh-smelling laundry. I live in the middle of nowhere and no one ever comes to my house. It's safe to walk on my back deck in my PJs knowing that no one will ever see me, so imagine my surprise when I suddenly heard someone say "Hello." And that's when I screamed and fell dead on the deck from a heart attack. In my PJs. And a messy bun. A delivery man was in my driveway looking up at me lying dead on my deck. Apparently I can't hear trucks in my driveway without my hearing aids and this delivery man snuck right up on me. He jumped, but then started laughing. After my heart re-started, I said "Obviously you startled me. "* I met the delivery man in the driveway, still trying to regain my breath. The kind man said, "I could see the laundry lines jiggling so I figured you were back here. I didn't mean to scare you!" He was just trying to deliver an Edible Arrangements bouquet from my cousin. ** I explained to him about not wearing my hearing aids and then signed for this beautiful bouquet. I picked the wrong week to stop drinking Dr. Pepper. The delivery man will likely never recover from being screamed at (and seeing me in my PJs). I eventually revived myself with chocolate and fruit. "Hair of the dog" and all that. **"Cousin Eddie" was very nearly listed as my cause of death. Are you ready for Cutie Madness? I design Cutie Patterns and 16 of my patterns are battling against each other to see which is YOUR favorite! This week Summer's End and Squared Away are going head to head. Vote for your favorite HERE and be entered to win a random drawing of these two patterns. As a traveling quilt teacher, I travel for as little as a day at a time and as much as 37 days at a time (only once; never again). The average, though, is 4-5 days away. My last trip had me away from home for 7 days. This was on top of 3 weeks away and 2 weeks of medical treatment. To say I was missing my quilting time is an extreme understatement! I finished ribbon candy-ing my Squared Away Cutie Quilt. This quilt was a delight from start to finish because PennyRose Coming Up Roses fabrics (affiliate link*) by Jillily Studio are just the happiest fabrics ever! And Jill makes me just as happy in person. Fortunately I had an unquilted Sweet Tooth Cutie Quilt top just lying around, as one does. I'm still ribbon candy-ing, but I have no idea if this quilt will be enough. Just how many ribbon candied quilts will it take to feel like I'm me again, do you think? Are you a ribbon candy fan? I teach ribbon candy in one of my Craftsy classes (50% off link HERE**). *If you purchase something through an affiliate link I may, at no additional cost to you, receive a small commission to keep this website running. **Coupon Details: Get 50% off the full retail price of select Craftsy classes taught by Debby Brown - Instructor. Cannot be combined with any other coupons. Expires December 19, 2017. Do you ever get a "What would happen if I....?" thought? Well I did, and shockingly it was a thought about a quilt. What would happen if I made my Irresistible Cutie Pattern in black and white fabrics, set them with baby blue fabric, and quilt it all using my FabuLux Cloudy Skies thread? Overall, I'm fairly happy. This will be a very useful baby quilt (and I'm drowning in babies during this season of my life). I don't think that it does, but I think that the quilt will be well-loved despite not being quite as cool as I hoped it would be. August was a great month of travel for me, but it ended in a whimper. And a crash. Everything I touched broke and needed to be repaired or replaced. With the western part of the US on fire, Texas underwater from Hurricane Harvey, and Hurricane Irma poised to strike, I laughed at how small my problems were. Even still, they were problems. September started with an infusion for me, so I didn't feel well while doing the work to repair or replace everything I own. 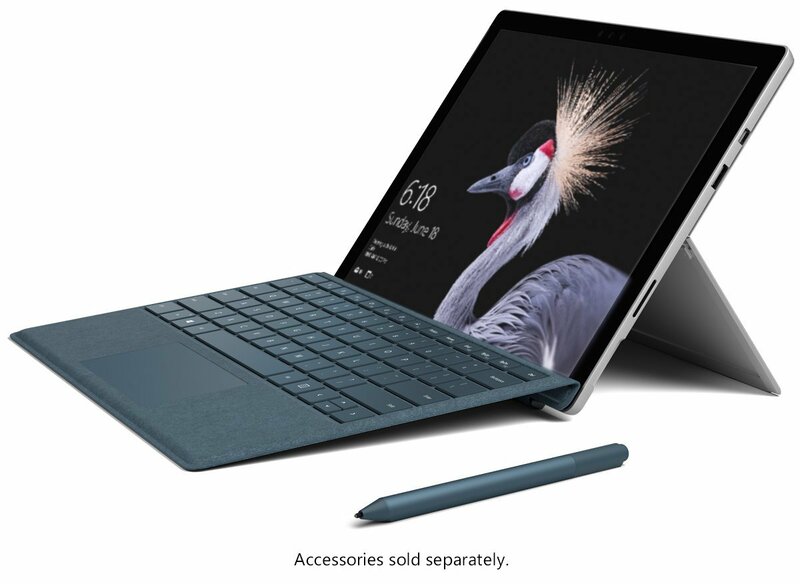 Replacing everything one owns can be a tad spendy. I have a very simple laundry routine and rarely use my clothes dryer but my daughter visits weekly just to do her laundry. Labor Day is a great time to need a new appliance because of the sales, so we bought a new one and it was delivered last week. My daughter tested it over the weekend and apparently it works just fine. I wear hearing aids to amplify regular noises and also to cancel out tinnitus (ringing in the ears). My left hearing aid stopped working. I could hear fair-to-middling well with my right ear, not so well with my left ear, and the ringing in my left ear was causing me to bang my head against the wall in frustration. I managed to get an appointment and expected to have them send the hearing aid out for repair. Color me shocked when it was an electrical connection problem and I left after 10 minutes with better hearing and no more ringing! The day of my infusion last week, my phone died. No texts, no phone calls, no data. I could get on the internet if I had wifi, but that was all. I stopped at the phone store on my way home from the hearing aid appointment. They offered to sell me a new phone (nooooooo!!! -- I don't want to mess around with learning a new phone) but ended up replacing my non-working SIM card. When I film my FaceBook Live videos, I mount my phone on a tripod. I took this tripod on a family vacation so we could take family portraits, but the Phone Mount was broken during transport. I brought a camera that mounts directly to the tripod so we were still able to get some fun family photos, but I needed to buy a new Phone Mount. When I flew to London last month, as soon as I got to Heathrow I noticed that the face popped off of my Apple Watch. I haven't worn it since. I don't live near an Apple store and last week I finally was able to get to one to drop the watch off for repair. Hopefully I'll get it back next week. After struggling to save my files and uninstall/reinstall some programs, I started having fun learning to use this. Did you notice the incredibly fine $ art work above? I drew that on my computer. Be impressed. When I move my postage scale, it rattles. What makes it rattle are the broken parts that bring electricity to the device. Fortunately, it also runs on batteries. I can't face fixing/replacing another thing because my brain hurts right now. I still have non-wheeling suitcases, a dodgy generator, a non-working snowblower, a 43 year old deck, a 43 year old bathroom, a 43 year old kitchen, a 43 year old driveway.... well, you get the point. I will work on those as I regrow brain cells. Have you ever had everything break on you at once? In a life without many problems, this is the pits. *An affiliate link means that if you purchase something through the link I may, at no extra cost to you, receive a small commission to help keep this website running. I pulled blues and green fabrics together from my personal collection (aka "stash") and added a fun Hippopotamus border. No one has yet complained. This quilt is for my daughter and she won't complain either. Now I have to pull fabric to make another Fenced In and I pinky-swear promise that I'll custom quilt it. Or not. Quilters are the Best People EVER! Last week was a rough week for me. I had another infusion and my second (last) treatment in each series is always hard on me. I prepared for it as best I could by packing a snuggly quilt and my shiny disco ball. I slept through about 5 hours of the treatment and then my husband drove me home when it was finally over. Once home, I was treated to love from many quilters who probably didn't even know how much I needed it that day! I deal with inflammation in the cartilage between my ribs and refer to the pain as "ninja pain." I wrote about my ninja pain HERE. Joliene knows about this and thought I needed to make a ninja quilt. She's absolutely right! Stay tuned to see what happens to these fabrics. The Hello Kitty wrappers just added more love to the entire thing, didn't they? Lucy is cool like that! 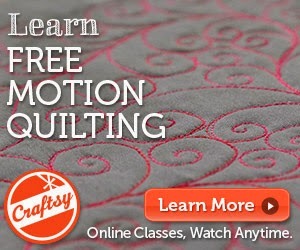 I watched 2 of your classes yesterday on the All-You_Can_Watch_For-Free day: Stunning Free-Motion Machine Quilting Using Simple Shapes, and You Can Quilt It! 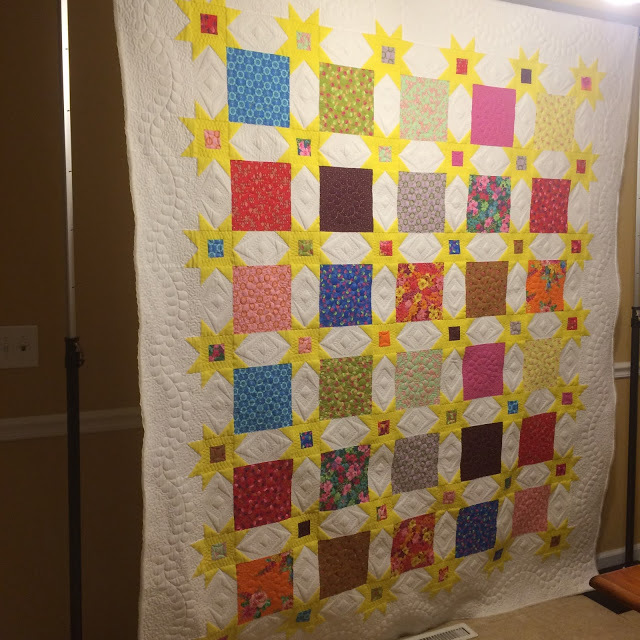 Strategies for Custom Quilting...and I left glowing reviews! 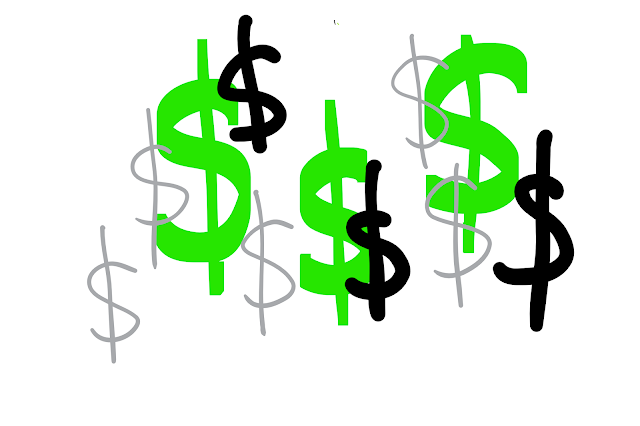 I LOVE the idea that I can create my own grid stencils. As I wrote in my review,"For anyone who struggles with FMQ, the grid approach simplifies the process. Debbie breaks FMQ down by using grids so that you can quilt a complicated design in small portions and have consistent end results." THANK YOU!!! This, folks, is why I spend a third of my time on the road teaching quilters how to love machine quilting. I don't know what I did to deserve such love, and all on the same day, but I'm very grateful to you all. Quilters are the best people, aren't they just? 2. I don't have to have another infusion until January! My goal for this week is to be as generous as kind with people as people are with me. That's a tall order, but I'll do my best! *Coupon Details: Get 50% off the full retail price of select Craftsy classes taught by Debby Brown - Instructor. Cannot be combined with any other coupons. Expires December 8, 2017. I'm nearly recovered from HQ Academy 2017 and already looking forward to HQ Academy 2018! Did I ever mention how much fun I had there? Yes, that is me. Along with Sariditty, I'm leading 200-300 quilters in a rousing song of "Thread, Needles, Tension, Feet." If you search well, you might find videos of the quilters singing along. Will I see you at HQ Academy next year?